Plater is a handsome and light addon for nameplates! Plater and Details! are made by the same author! - New nameplates for friendly characters. - Unlock configs to modify the new personal health bar/power bar in the middle of the screen. - Allows to change the size of the resource indicators such as the runes for Death Knights. - Indicates when a npc is an objetive of a quest. - Highlight detector npcs inside Suramar city. - Color change by aggro and by player role (tank or dps). - Dynamic sizing allowing to have two sets of size, one for combat and other out of combat. - Allows full modification of textures. - Allows to modify the clickable area of the plate. - Unlock separate config for each type of unit: Friendly Player, Enemy Player, Friendly Npc, Enemy Npc. - Show your buffs and debuffs, allowing to black list some of them. Important: by default the health bar of enemy nameplates has a height 2 pixel when out of combat, but do not be fooled by that, each nameplate has by default 45 pixels of clickable area (vertical) and both the health bar and the clickable area can be modified. I am loving this addon, but I cannot figure out one thing. Is there a setting where I can change the position of the spell icon during enemy spell cast? I looked under general and enemy NPC tab, but could not find an option to change the position of the icon (there are stuff like spell name, spell time, etc. but no option for icon). Hello, want to say excellent addon, just there's not showing the shields or absorbs in the enemies plates, i searched in the settings and i dont see anything related with that. So. How can I see the shields and absorbs then?. Advanced tab > enable the show shield health prediction options there. Love this addon however few issues, I used to play on blizzard default "Small version" and my dmg show fine, but with plater it is hidden 80% of the time where I can't see the yellow dmg, what can I do about this? Also is there a few other themes of this addon? Like I want all features however I don't like the look fo the default, for example, I want a smaller theme, just like when you use default blizz there's big one, and small one? can I make a version of small style more compact and simple for this addon? thanks. first, go to wago.io and select Plater Nameplates and > Plater Profiles for different visuals. Then you may change the size of the nameplate at Enemy Npcs tab. Re: Neutral enemies are shown as red. I am currently levelling a new alt and are questing in Barrens. I spotted a bug in Plater. Some of neutral enemies' plates become red instead of yellow, which they are supposed to be, when I get in combat. Of course I am talking about neutral enemies, which are not involve in a fight whilst target frame becomes red when being attacked as it supposed to. When I leave combat, nameplates get back to normal. I thought it was occurring randomly but now there is something going on. It's difficult to say what exactly happens. I thought all yellow nameplates get red but it is not the case. I will try to add more to it when I find out more. Edit. For instance, I am in Northern Barrens right now and levelling Mage 26 lvl (coordinates: 63.4, 62.0). They are bunch of hostile raptors, red nameplates and other animals. There is also a rare zebra "Swiftmane", which run around. 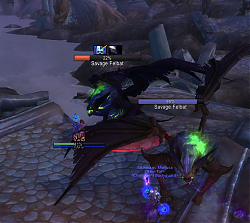 If I attack something, its nameplate becomes red! Neutral enemies are shown as red. Last edited by FranekW : 02-10-19 at 05:02 AM. Last edited by masterkaran : 01-26-19 at 02:36 AM. Last edited by Vymrr : 01-17-19 at 07:40 AM. I love the addon first of all, but in my attempt to try out new classes I accumulated a lot of profiles on the addon and the dropdown menu is very cluttered. I was wondering if there is a way to delete a profile from the addon. I tried using the delete a profile at the bottom, but they still show up in the dropdown. I'm not sure if i'm doing something wrong. is there an easy way for you to make the execute-glow as wide as the health bar or is it a design choice? (*temporary) = "Details! FrameWork: CreateLine(): Plater\libs\DF\button.lua:1050: Usage: PlaterOptionsPanelContainerDebuffSpecialContainerSpecialAurasAddedLine1MineToggle1:SetWidth(width)"
thanks for testing and reporting, I appreciate! Just had a quick thought for a feature, similar to what TidyPlates had where you are able to filter out certain units from displaying nameplates. 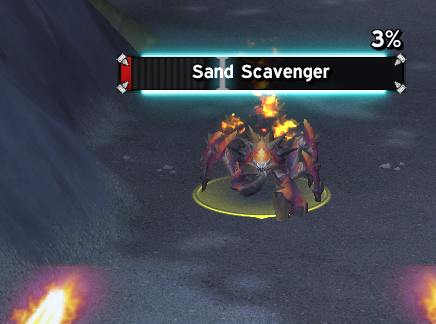 An example for this may be something like Zul where there are a lot of crawgs up, bombarding you with nameplates that you don't really need to/care about seeing. Maybe this could be done with a Script instead even, no harm in asking though! I think you can do that with scripts in the scripting tab, just create a new one and add the units in the trigger.